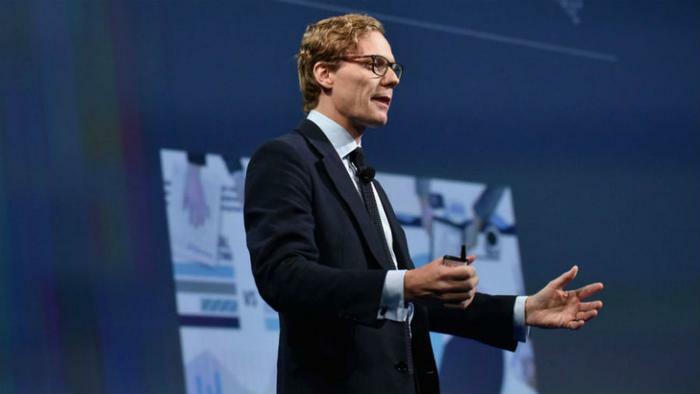 Alexander Nix, the former CEO of Cambridge Analytica, allegedly embezzled $8 million from the company before it shut down and filed for bankruptcy last month. Nix is accused of stealing the money after British journalists began reporting on the company’s involvement in the Facebook data sharing scandal, but before the company collapsed, according to the Financial Times. Investors who want to rebrand and relaunch the political ad consulting firm are currently trying to get the money back, and Nix has said he intends to repay part of the money. Nix appeared before British lawmakers for a second time on Wednesday to testify about his role in the data sharing scandal that exposed the information of millions of Facebook users without their consent. At the session, Nix denied that he had withdrawn the money. "The allegation made in that article is false, the facts in that article are not correct," he said.